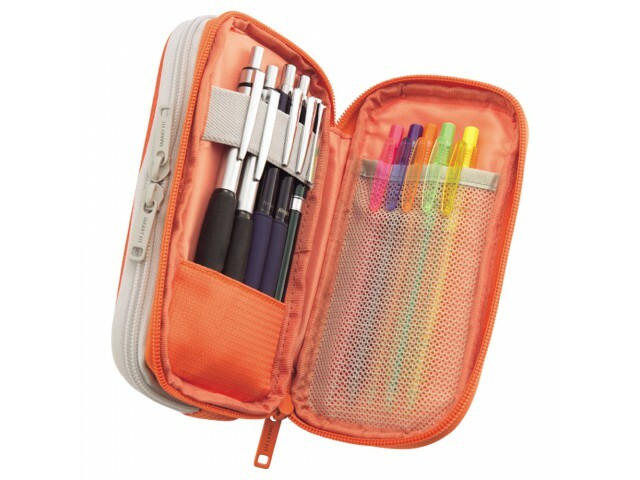 The Lihit Lab Smart Fit pencil case has two sides for organizing your pens. 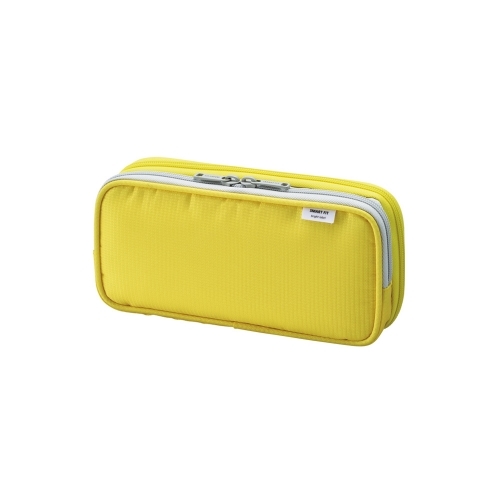 One side has an open pouch for large items. 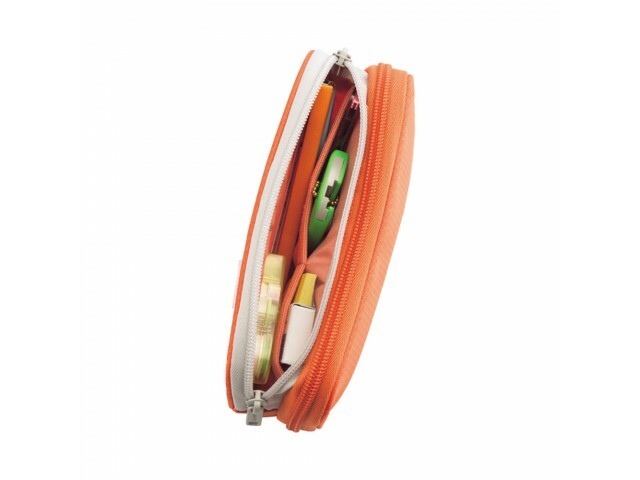 Two small mesh pockets can store smaller items. 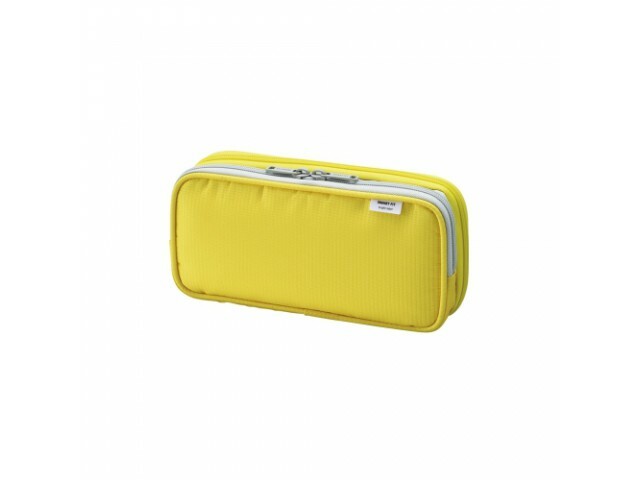 The other side has a large mesh pocket on one half and a secure band on the other for holding pens.